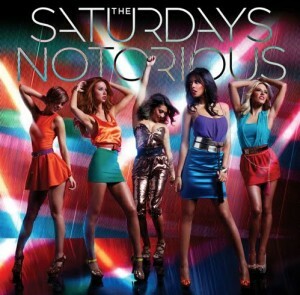 • British girl group The Saturdays will return to the UK pop charts next month with their brand new single ‘Notorious’. It’s the band’s first new music since their EP ‘Headlines’ and its singles ‘Missing You’ and ‘Higher’ last year. A new album is due later in the year and big fans can pre-order a signed physical single from Universal’s UK store HERE. • The boys from Gypsy & The Cat are almost halfway through their tour of the country, with their upcoming gigs in Brisbane (tonight) and Sydney (this Friday) already sold out. Limited tickets are still available for their shows tomorrow night on the Gold Coast, Thursday night in Wollongong and Saturday night in Newcastle. A deluxe version of their album ‘Gilgamesh’ will hit the stores on Friday, featuring a bonus disc of remixes. • Seems like everyone’s just screaming to get their mitts on the deluxe edition of Jennifer Lopez’ latest album ‘Love?’, with many holding off buying the LP until the deluxe edition surfaced in stores. According to a contact in retail today, the deluxe edition is “still on backorder”, meaning it’s yet to be shipped to them by Universal Music. The album was due out last Friday. • A week’s a long time in music – and it seems like the release of Wes Carr’s new single ‘Been A Long Time’ has changed again. The latest Sony Music release schedule, sent through yesterday, has the single now dropping at digital retail on Friday June 03. It was officially serviced to radio on Thursday. • Eurythmics co-hort Dave Stewart has announced that he’ll be releasing a new album in June. 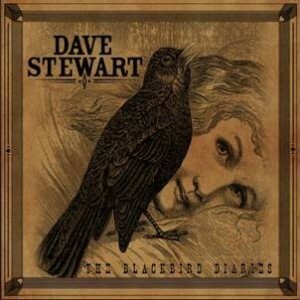 Entitled ‘The Blackbird Diaries’ (pictured), the new album features all original material, including duets with Colbie Caillat, Martina McBride and Stevie Nicks. The 12 tracker is due to drop in the US on June 28. No word yet on a local release. • We thought that UK trio Dolly Rockers had gone the same way as the Dodo or Steps. But not true. They’ve been hard at work in the studio with man of the moment RedOne creating new sounds they hope will form an album for release later in the year. The girls has a minor chart hit in Britain two years ago with the single ‘Gold Digger’. • Vinyl importer Fuse Group Australia has announced that it has secured the rights to be the exclusive Australian distributer of Jack White’s label Third Man Records. This means that all future releases by the likes of The White Stripes, Wanda Jackson and The Dead Weather will now be distributed to stores by Fuse. • Big props to country singer Kasey Chambers, who’s taken out the grand prize at the International Songwriting Competition. She beat out thousands of other entries from around the world with a song called ‘Beautiful Mess’. The win sees her pocket a cool $45,000. Other Aussies fared well, including Kimbra, Washington, Basement Birds, Paul Dempsey and Children Collide. • We made mention of the Melbourne’s Heart Of St.Kilda Concert, coming up at the city’s historic Palais Theatre on June 27. Organisers yesterday revealed that The Little Stevies have been added to the fundraiser’s already impressive line-up which so far includes Paul Kelly, Wolfgramm Sisters, Russell Morris, Jon Stevens and Adalita. Tickets are on sale now, with proceeds going to the Sacred Heart Mission. • She’s been a staple on the Australian music scene for more than two decades, so it’s incredible to think that Silvie Paladino has not once released a solo studio album. Thankfully that’s all about to change, with the singer set to release ‘On My Own’, a collection of classic songs like ‘Anyone Who Had A Heart’, Lionel Richie’s ‘Truly’ and the title track ‘On My Own’ from the musical Les Miserables. The album is released on Friday. • Tex Perkins and The Dark Horses have added a Perth date to their forthcoming tour. Celebrating the release of their self-titled new album on June 10, the band will play Sydney’s Factory Theatre on June 16, Melbourne’s Thornbury Theatre on June 17 and 18 and now Perth’s Burswood Dome on Sunday Jun 19. Tickets for all are on sale now. • Beyonce has delayed the premiere of her new video. The clip, for her latest single ‘Run The World (Girls)’, was due to premiere in the US yesterday, but reports suggest she’s “perfecting it”. No new date has been given for the clip’s premiere. • Ruby Rose was this week confirmed to host the first Live At The Chapel event for the 2011 season. Set down for Thursday May 26 at St.Stephen’s Anglican Church in Newtown, the event will feature a rock-fuelled performance by The Vines, who will relese their new album ‘Future Primitive’ on Friday June 03. • Speaking of, the band revealed the cover image for the new album on their website earlier in the week. 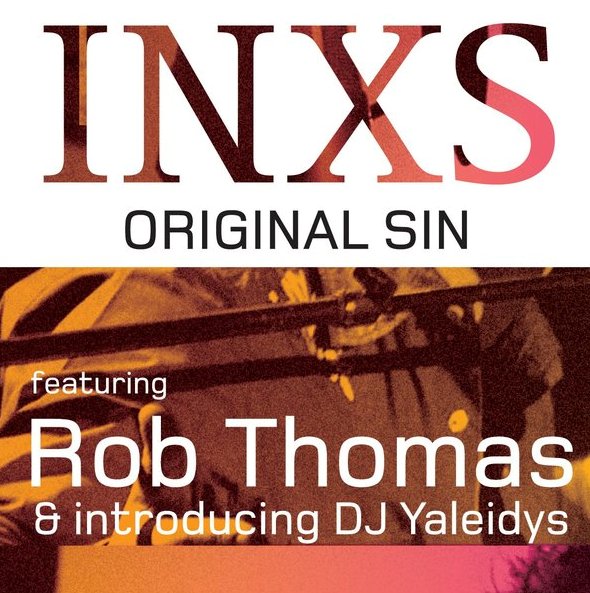 • INXS are back on the US charts with a reworked version of their hit single ‘Original Sin’. Featuring Matchbox 20 frontman Rob Thomas on vocals, the new edition of the song has reached the No.5 spot on this week’s Billboard Dance/Club play chart. • Speaking of the US charts, it seems like a little Stateside promo time has paid off big time for UK soul singer Adele. Her single ‘Rolling In The Deep’ has lurched to the top of the Billboard Hot 100 singles chart this week, displacing Katy Perry’s single ‘E.T.’ And while Katy slid down to No.2, Jennifer Lopez’ single ‘On The Floor’ bolted up four places to No.3. Lady Antebellum’s latest ‘Just A Kiss’ debuted impressively at No.7, while Pitbull popped into the top ten at No.8. • And on the Billboard albums chart, well Adele rules there too. Another 155,000 people snapped up her album ‘21’ in America last week, with the Beastie Boys not far behind with their new album ‘Hot Sauce Committee Part 2’ (128,000 copies) debuting at No.2. The new NOW compilation debuted at No.3, Fleet Foxes’ new LP ‘Helplessness Blues’ at No.4 and Jennifer Lopez’ album ‘Love?’ at No.5. More top ten debuts came from Stevie Nicks (‘In Your Dreams’ at No.6), Sade (‘The Ultimate Collection’ at No.7), Musiq Soulchild (‘musicinthemagiq’ at No.8) and Sixx A.M. (‘This Is Gonna Hurt’ at No.10). We’ve heard reports that J-Lo’s deluxe edition has begun arriving in stores. So check your local retailer! No word on the new Kate Voegele album at the moment, but we’ll keep our eyes peeled. Keep your eye on our New Release Schedule, posted every Thursday. hey, any news on when Kate Voegele’s new album will be released either digitally/physically here in australia? it comes out in USA on tuesday….thanks!! Can’t believe how the J-Lo Love? Deluxe version is still not at retail. I would’ve bought it Day 1. Hopefully it comes out soon!! The collectors version of LOVE? by JLO came out to come stores across Australia yesterday – 13th May 2011. Other stores are yet to recieve. Nothing at this stage, sorry. Any news on the new Cascada single “San Francisco”?